Yes we all knew it was coming. A sticky substance that attracts more dirt and debris. And, what has it done to our cooling plant? Infills fin gaps to reduce cooling surface area. Increases energy demand of cooling fans. Causes chiller to fail on high pressure. Yet, there is a simple but inefficient solution. Pay your maintenance team more money to check the coils more often. Pay your maintenance team more money to do weekly cleans of your chiller coils. Or, the efficient RABScreen solution. Call RABScreen on 01635 248633. Have one of our team provide a filter solution for YOUR equipment. Fit the protective PreVent system to YOUR equipment. Watch the discharge pressure increase by less than 1%. Watch as the RABScreen collects a mass of debris in the first 24 hours. Brush or vacuum the RABScreen to maintain maximum efficiency. 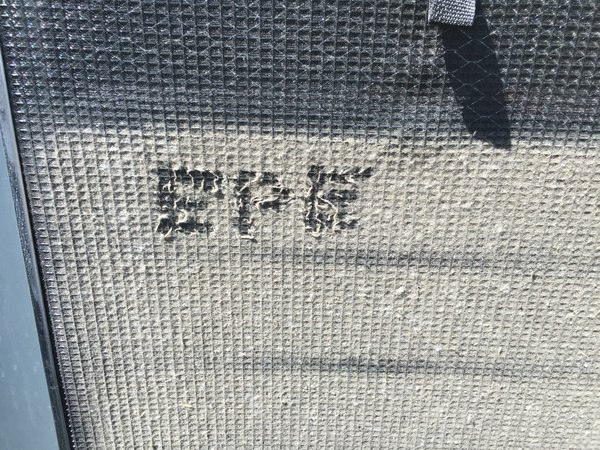 Watch as the reduced energy consumption pays for your filters in less than 6 months..
RABScreen, surely it's a no brainer.